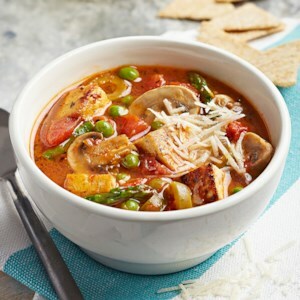 Find healthy, delicious low-calorie and high-fiber weight-loss soup recipes, from the food and nutrition experts at EatingWell. 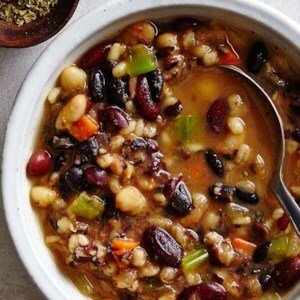 This veggie-packed minestrone soup recipe is the only weight-loss soup you need. 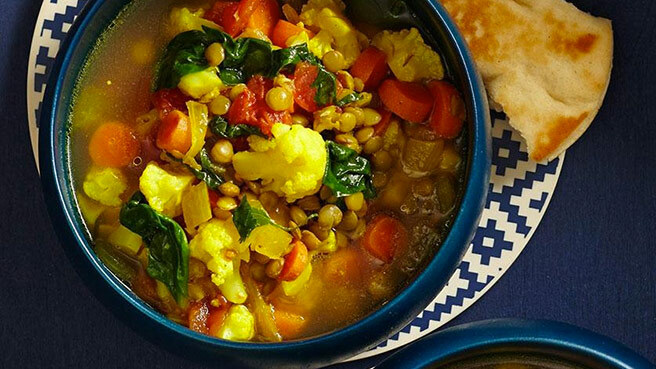 Mix up the ingredients for this veggie-packed soup recipe in your slow cooker in the morning and come home to a delicious dinner. 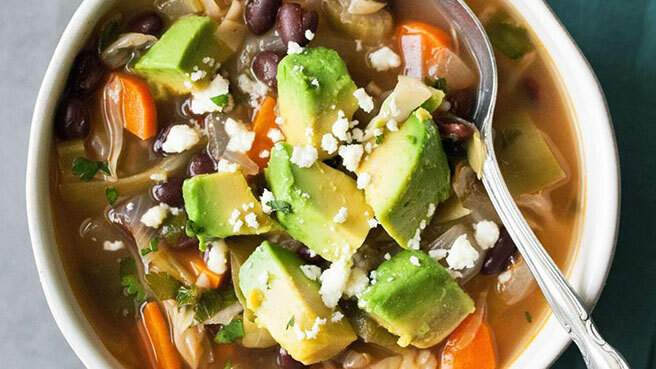 Our healthy metabolism-boosting soup recipes all include chile to boost calorie burn. Studies show that capsaicina compound in chilesrevs up the body’s metabolism and may boost fat burning. 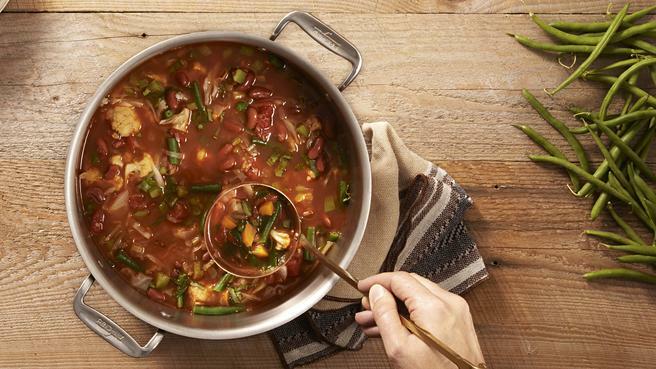 Try one of our spicy, low-calorie soup recipes for dinner tonight. 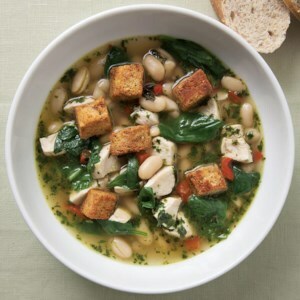 Start your meal with a healthy soup or salad to stay slim. 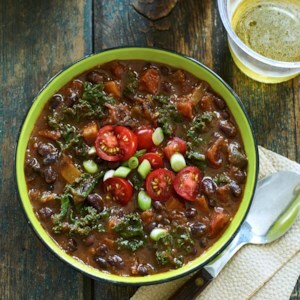 Filling up on fiber- and water-rich foods first can stop you from overeating later. Research shows that eating a first-course salad can reduce overall calorie intake at a meal by up to 12 percent. 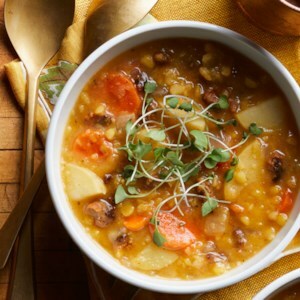 Enjoy these healthy soup or salad recipes. 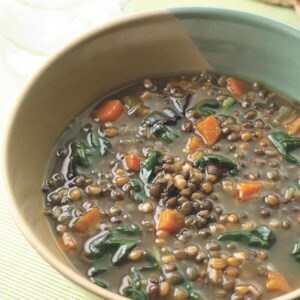 Make this low-calorie side-dish soup using vegetables you have on hand. 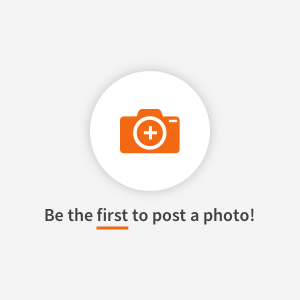 This recipe gives you lots of options. 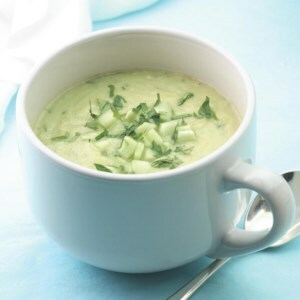 There's no reason to only use cucumbers raw--they are wonderful sautéed then pureed with avocado for a silken-textured soup that's good warm or cold. 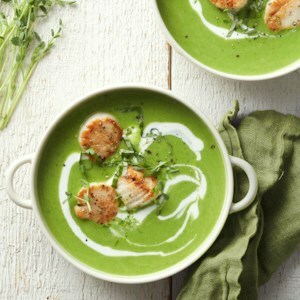 Roasting the vegetables for this simple summer soup enhances their inherent sweetness. 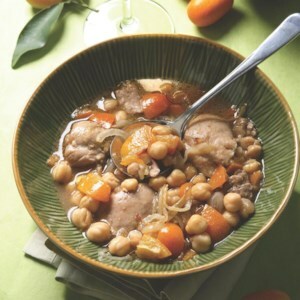 The recipe is from EatingWell reader Tracey Medeiros of Atlanta, Georgia. 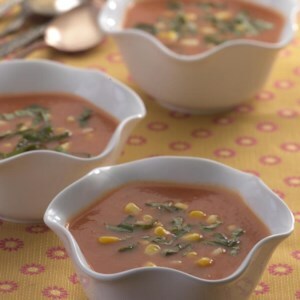 Use the freshest and sweetest ears you can find for this corn and red pepper bisque. 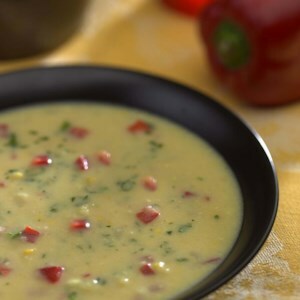 We use just a bit of reduced-fat sour cream in this soup to give it a creamy body, without the heavy cream usually used in a bisque. 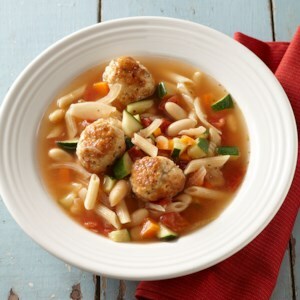 This version of the Italian classic soup Minestrone is packed with leeks, potatoes, beans, zucchini, spinach and orzo, making it perfect for a hearty lunch or supper on a cold winter's night. 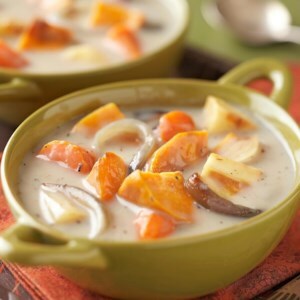 To make a vegetarian version use vegetable rather than chicken broth. 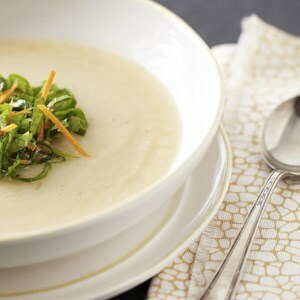 Top each bowl with freshly grated Parmigiano-Reggiano for a zesty burst of flavor. 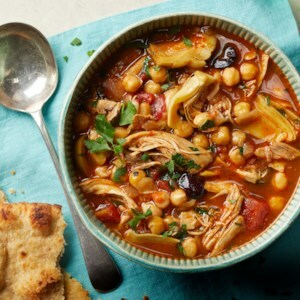 A tagine is a slow-cooked Moroccan stew (traditionally served over couscous)--but here it's quicker and (dare we say it?) tastier, thanks in large part to the bright spike of kumquats. 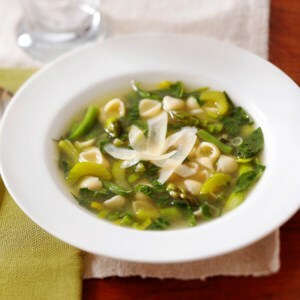 Freshly squeezed lemon juice adds a bright note to this toothsome and hearty winter soup, perfect for a weeknight supper with a hunk of crusty bread. 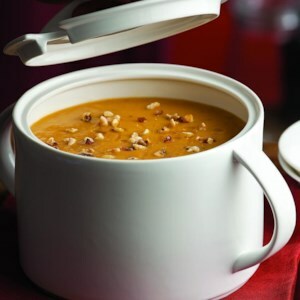 It freezes beautifully--you can keep individual portions in the freezer for healthy weekday lunches. 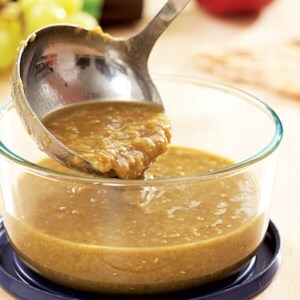 For homemade vegetable broth, see Roasted Vegetable Stock at eatingwell.com.